Today, 28 July 2016, marks exactly 150 years since the birth of internationally renowned conservationist and cultural icon, Beatrix Potter. To mark the special day, a group of Lake District businesses have launched a short film online to celebrate her life and help promote the region to potential visitors across the globe. 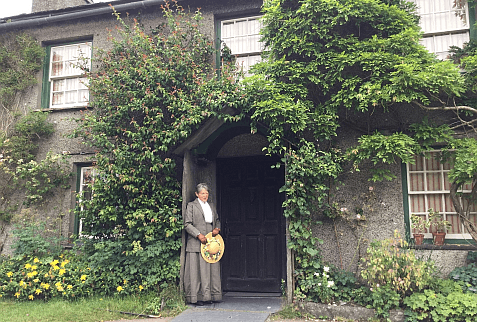 The renowned writer is played by Judith Notley and the film depicts a trip from Beatrix Potter’s Lake District home – the National Trust’s Hill Top – across the tranquil waters of Windermere in a traditional Lakeland ‘launch’ courtesy of Windermere Lake Cruises. Later, she is driven on to the Lindeth Howe Country House Hotel in a vintage 1925 Humber borrowed from the Lakeland Motor Museum. The six minute ‘day in the life’ feature also highlights Potter’s love of gardening and sketching in the local landscape, along with spectacular aerial footage of Windermere filmed by Skylark Aerial Photography in conjunction with Naik Media. View the final production on YouTube from 8am on 28 July 2016.